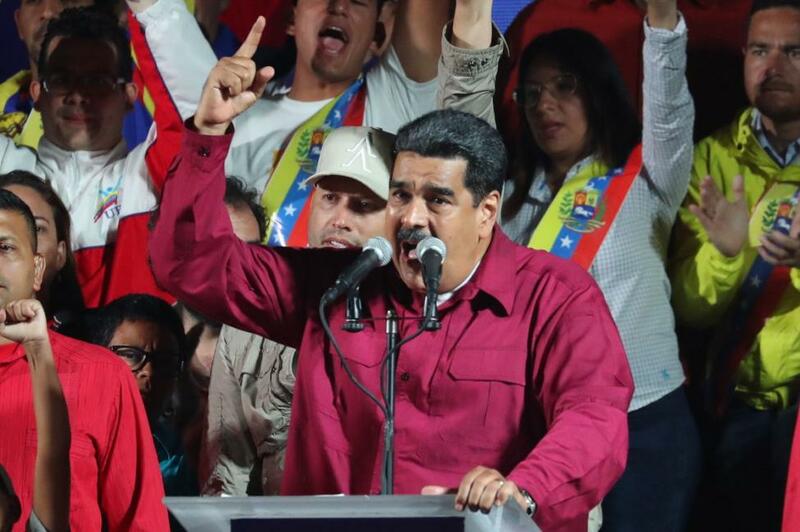 President Donald Trump signed an executive order levying sanctions against Venezuela's gold exports, national security adviser John Bolton announced Thursday. The president signed the order Wednesday, targeting those who have engaged in deceptive or corrupt gold sales in Venezuela. Bolton announced the sanctions during a speech on the administration's policy in Latin America at the Freedom Tower in Miami. Bolton also announced plans to sanction Cuba and Nicaragua, which, together with Venezuela, he dubbed the "Troika of Tyranny." "This triangle of terror stretching from Havana to Caracas to Managua is the cause of immense human suffering, the impetus of enormous regional instability, and the genesis of a sordid cradle of communism in the Western Hemisphere," he said. "Under President Trump, the United States is taking direct action against all three regimes to defend the rule of law, liberty, and basic human decency in our region." Last week, a U.S. Treasury official said the United States should publicize Turkey's involvement in the Venezuela gold industry. Marshall Billingslea, assistant secretary for terrorist financing at Treasury, said the Turkish government skirted international sanctions by purchasing tons of Venezuelan gold in recent months. Lucas Robinson of Medill News Service contributed to this report.